We are a leading Exporter of sublimation paper from Navi Mumbai, India. 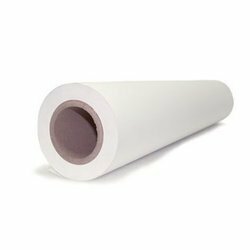 We are a prominent organization, engaged in manufacturing, trading and supplying of Sublimation Paper that is used for transferring image to fabric. This supreme quality paper is broadly acknowledged amongst our valued patrons for its smooth texture. Offered in different finishes and sizes, our paper is highly demanded across the country. Apart from this, craft by our highly experienced professionals by making use of quality raw materials at our manufacturing unit.